An Orange Chiffon Cake has wonderful light and spongy texture cake. Delicious orange zest with a hint of lemon in every bite. 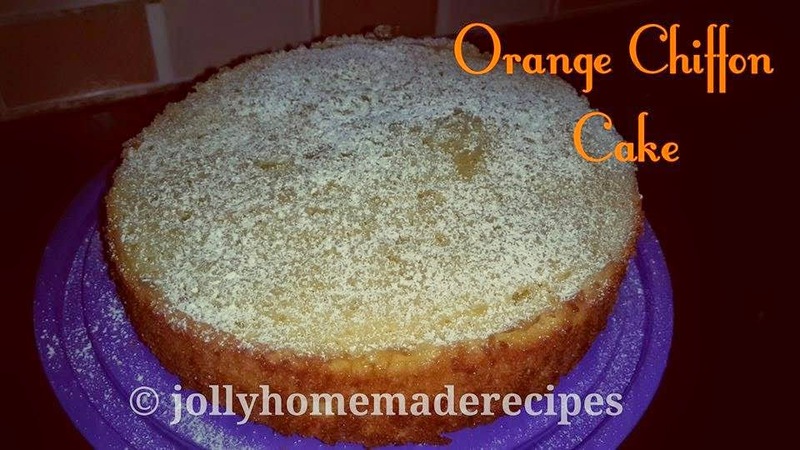 Moist, spongy orange cake is perfect for any celebration. 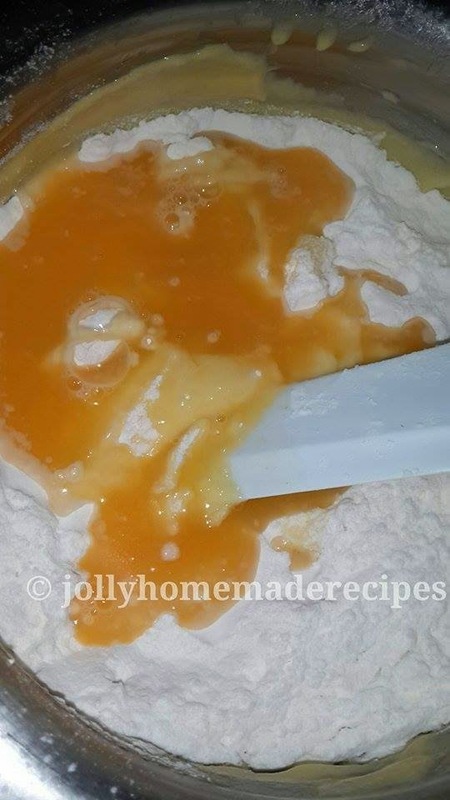 However, this chiffon cakes contain both egg yolks and egg whites, along with baking powder, orange juice, tanginess of lemon juice and a liquid fat (in the form of oil). 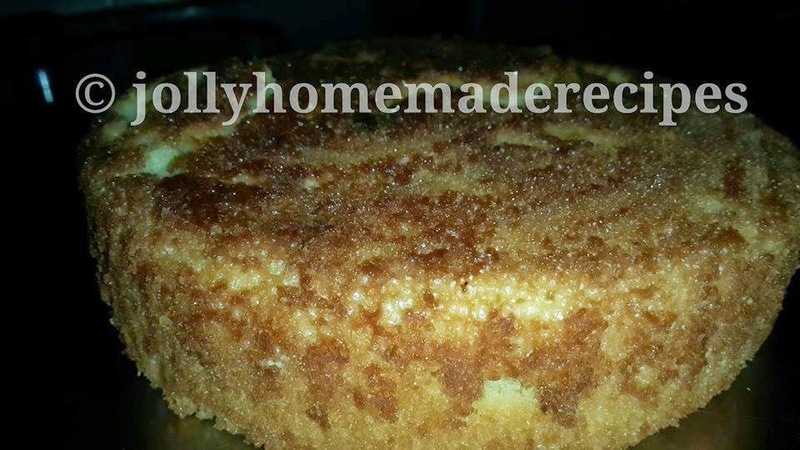 It is the oil that gives this cake its wonderful moist and tender crumb and keeps the cake soft even when refrigerated. You can even frost the cake with some orange whipped cream or butter icing. I like to dust the top of the cake with powdered sugar and it is lovely when served with fresh fruit (or chocolate sauces) and softly whipped cream. I have adapted an idea from here ndtvfood, but done little bit changes done from my side. 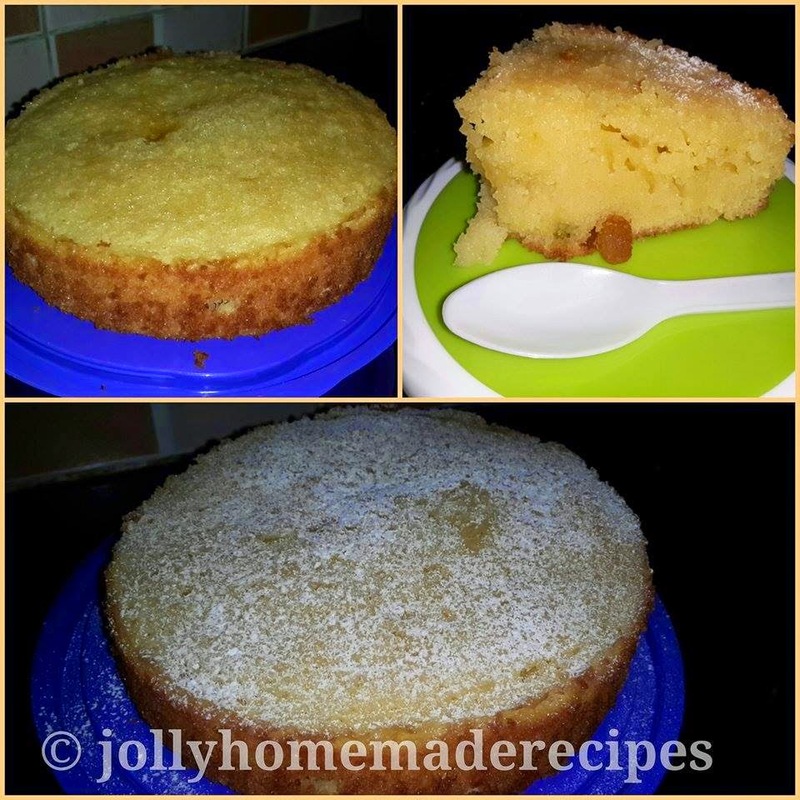 I have made the orange cake with fresh orange juice but you can use ready-made juice. 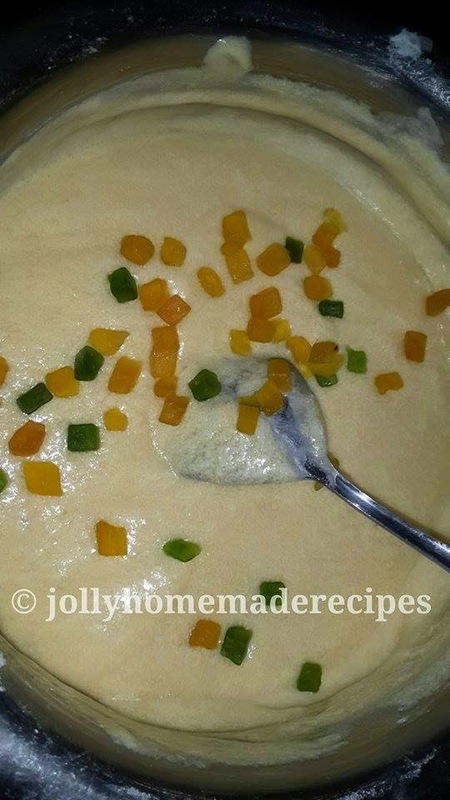 The cake has the orange and lime flavor with a light yellowish-orange color. 1. 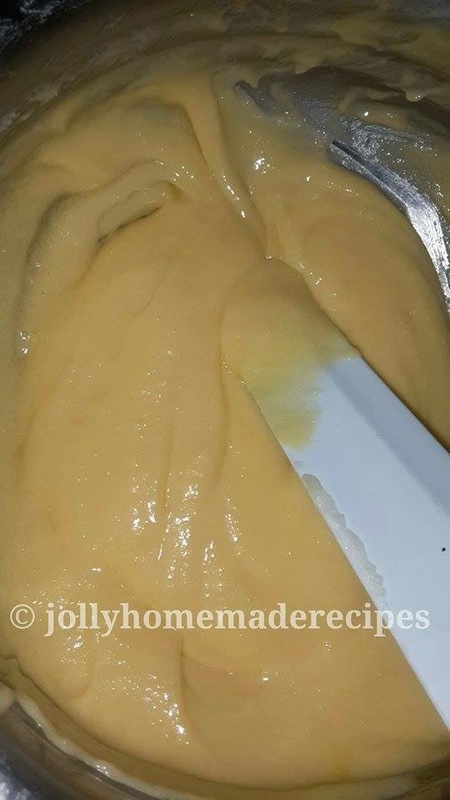 Take a bowl, beat the butter and sugar until light lemon-colored and fluffy, and add a tbsp of oil in it in between and whisk it about 5 minutes. 2. Break the eggs, separate the yolks and the whites. 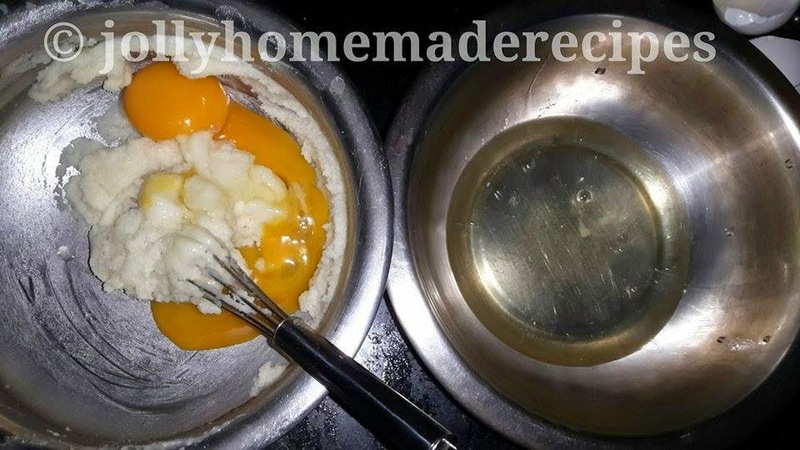 Mix the yolks into the mixture with a rubber spatula or wooden spoon till it becomes light. 3. I made fresh orange juice. you can use ready-made juice too. 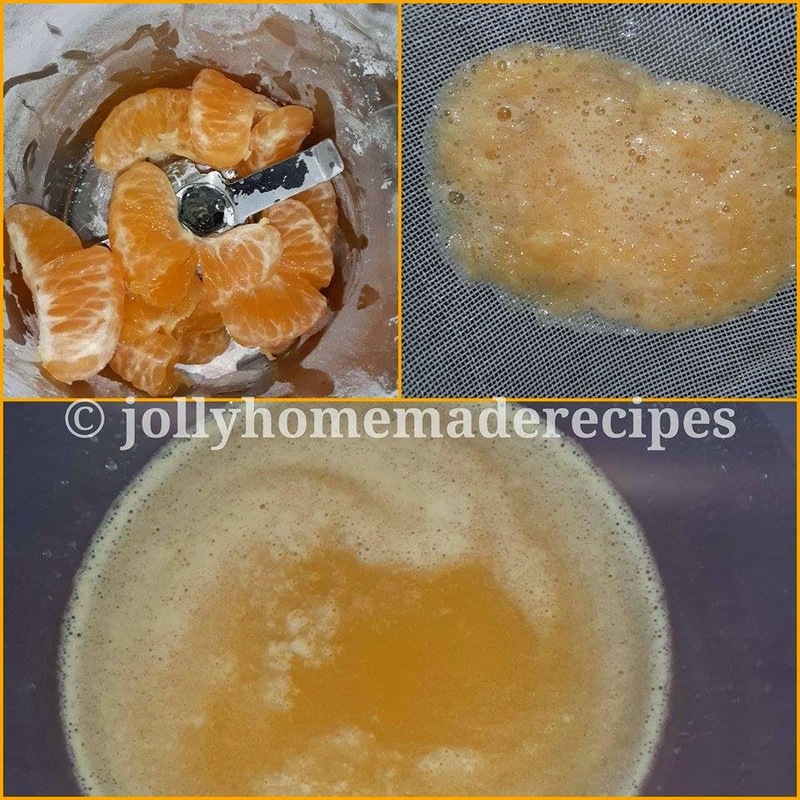 For making fresh juice, use an mixer grinder, you can also blend the orange segments (seeds removed) and strain the juice like I have done in below pic. I used two medium oranges to get 1/2 cup juice. 4. Add the flour, baking powder, orange juice, lemon juice, orange zest and the milk. 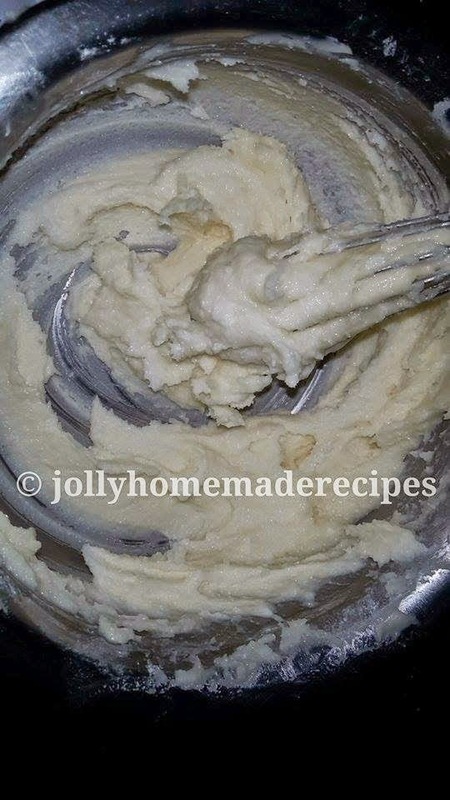 Mix it all together into a smooth batter. 5. 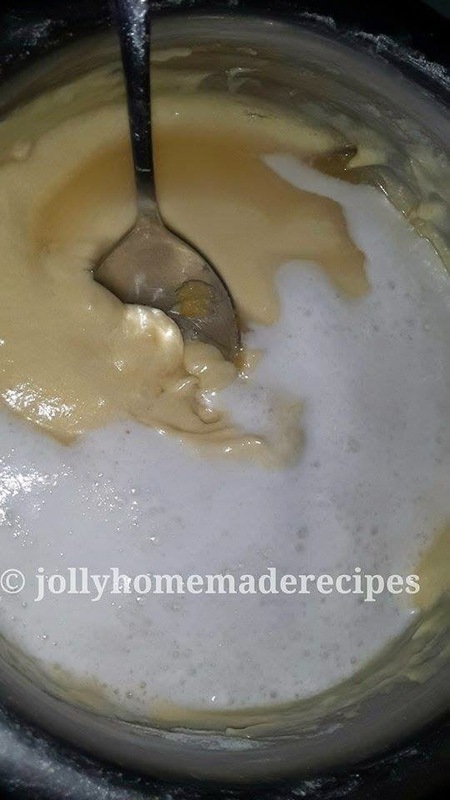 Now beat the egg whites and add vanilla essence till they are stiff and fold them to the batter with a metal spoon. When you are folding, you will fell the lightness in batter. Sprinkle tutti-fruti from top. 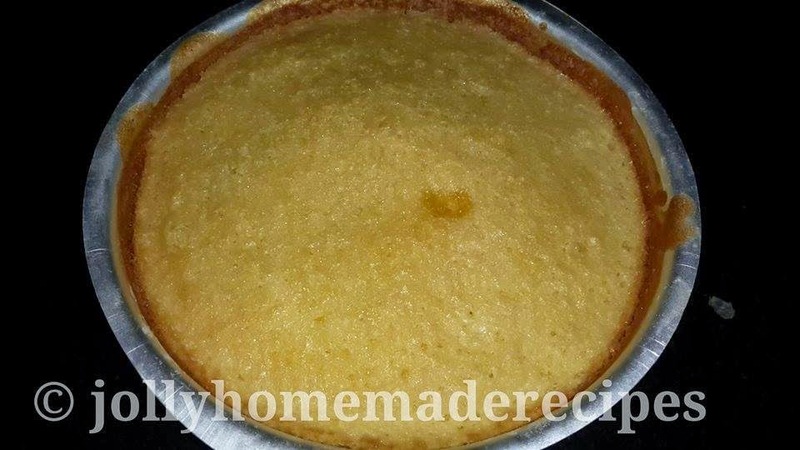 * Take a cake tin, brush with the melted butter evenly on the base and edges of the tin and also dust the inside of the tin with a little flour to help the cake can come outside smoothly from cake tin and not burn also. 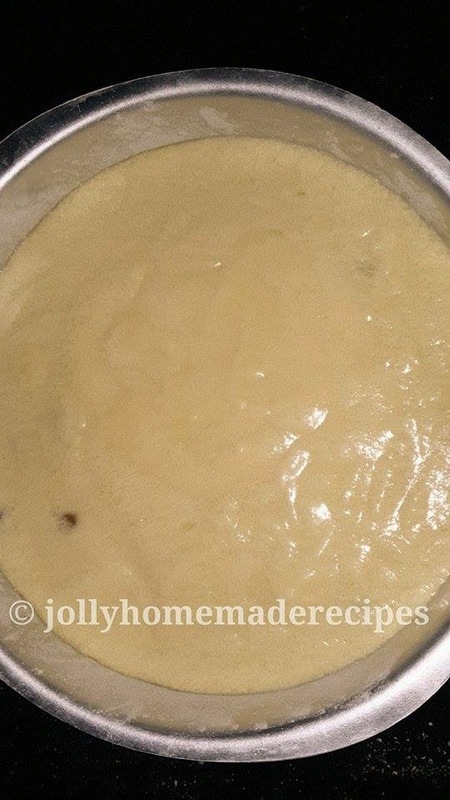 Preheat cooker for cake, Take pressure cooker and put 1 cup salt all over. Heat the pressure cooker(empty) covered but without the pressure 5 minutes on a high flame, then place your cake tin. Remove the gasket and whistle of pressure cooker. Place you cake tin on top of the salt. Close the lid and turn the flame on low and let it cook for 40 minutes-1 hour. 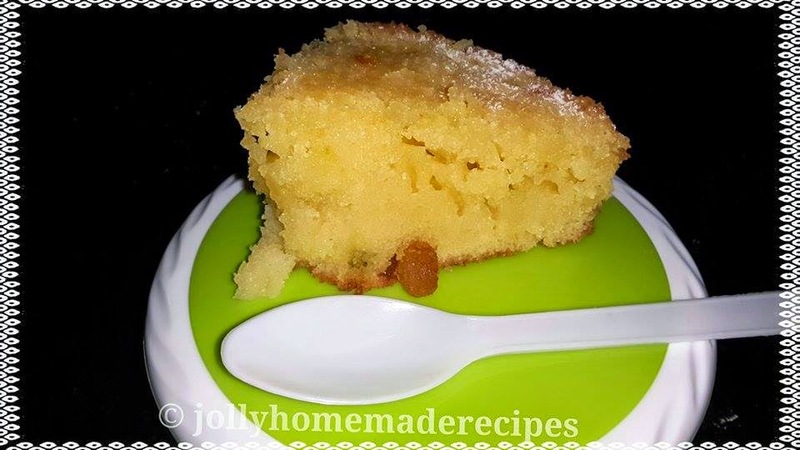 After 45 minutes, insert toothpick in a cake, if it comes clean it means your cake is ready or if not you can cook for more 10 minutes. * Stand this bowl in a pan of water and bake in a pre-heated oven for 30-40 minutes at 160 degrees Celsius. 7. Remove from cooker/oven and let it cool down. Turn it upside down to De-mold (use knife all around the edges before turning). 8. Dust the top of the cake with powdered sugar. Garnish with fresh fruit (or chocolate sauces) and softly whipped cream. Serve. 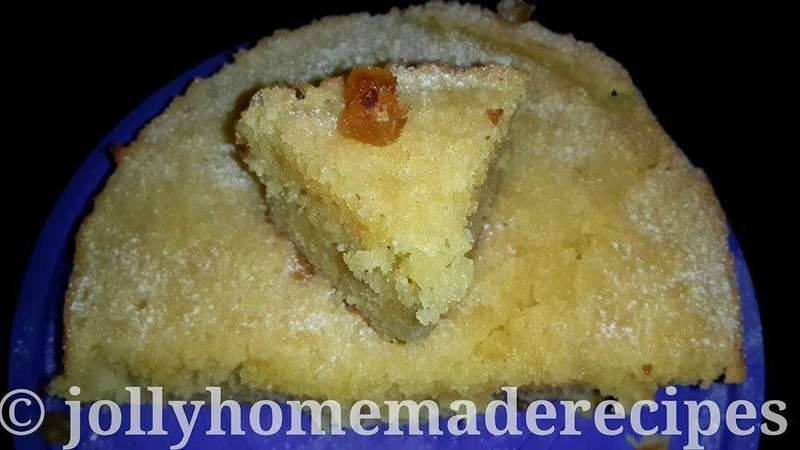 a beautiful orange cake.i love adding orange juice or zest or both to my cakes and muffins.